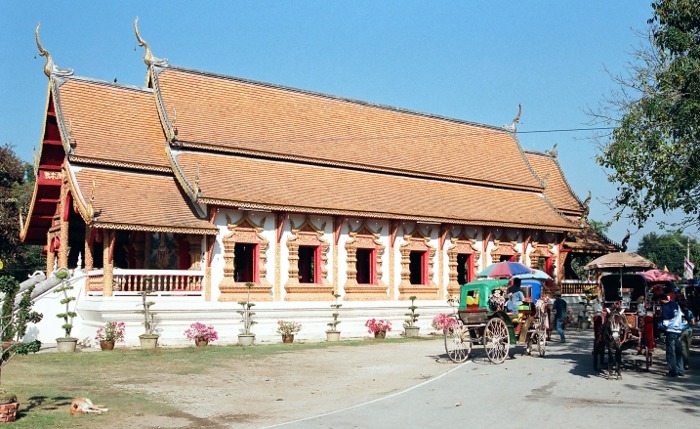 The old city of Wiang Kum Kan in Chiang Mai province (Northern Thailand). 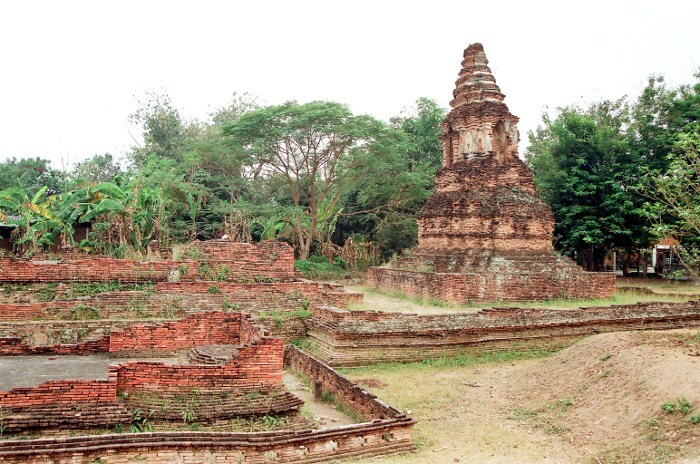 These are the ruins of the old town which is located 5 km in south of Chiang Mai. 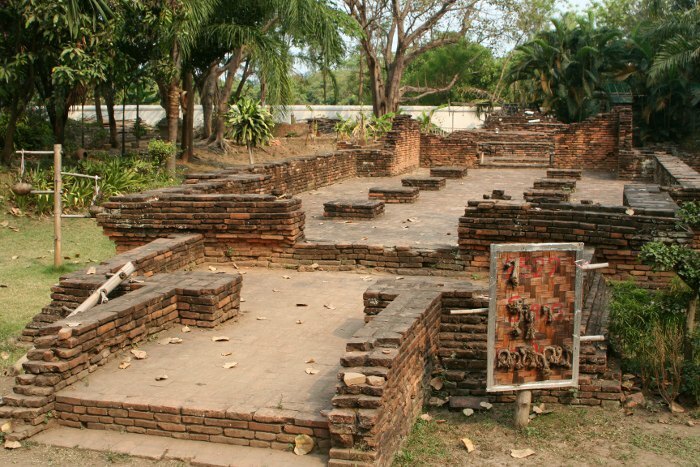 It has remains some temples built with brick, at that time the houses were built with teak and have since disappeared. Canon EOS 350D Wat Chang Kam. 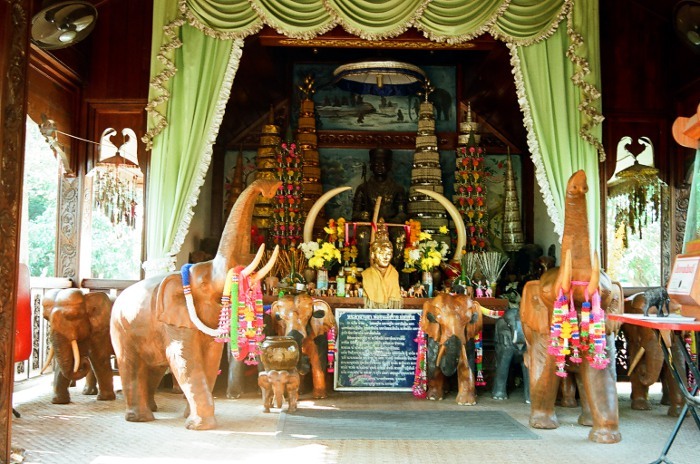 The city of Wiang Kun Kam is located 5kms (south Chiang Mai City). It was built between the 11th and 12th centuries, and abandoned in the 18th century further to multiple and heavy floodings. March 2008. Nikon F50, lens 28/80mm One of the numerous temples in ruins in what used to be Wiang Kum Kan city. January 2008. Nikon F50, lens 28/80mm Wat Chang Kam. Wat Chedi Si Liam and Wat Chang Kam are the two temples left from the old city. January 2008. Nikon F50, lens 28/80mm Wat Chang Kam. January 2008. 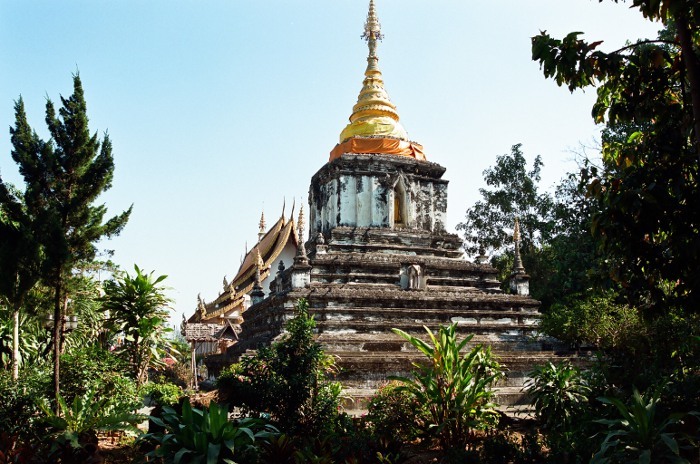 Nikon F50, lens 28/80mm Wat Chedi Si Lian. 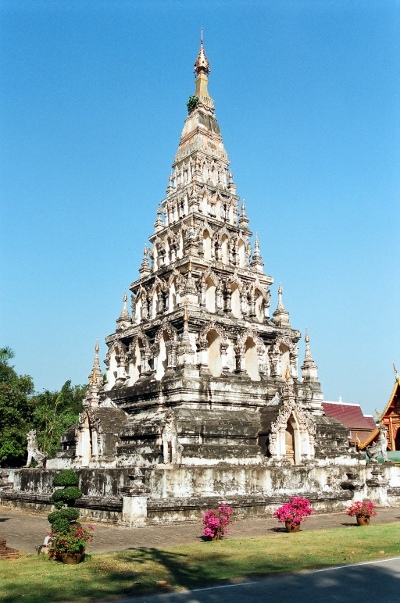 It is a four-sided chedi in Mon style. January 2008. Nikon F50, lens 28/80mm Wat Chedi Si Liam. 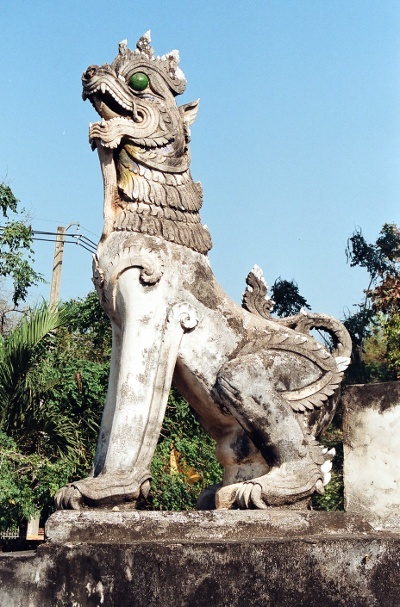 One of the statues to be seen in the four edges of the Chedi. January 2008. Nikon F50, lens 28/80mm Wiang Kum Kan can be visited in horse carriage. March 2008.